In the past year, we have been blown away by all the positive feedback we have been receiving from iTunes listeners, blogs, googlers, and of course, our supporting premium members. With this encouragement and support, we have been exploring new ways to better serve the European Portuguese learning community. 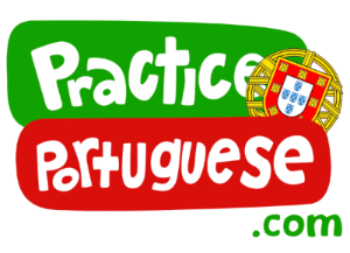 PracticePortuguese.com had been loading much slower than we were liking. To better serve our visitors and members, we have moved the site to a faster server and made many tweaks behind the scenes. All visitors should now notice a big speed boost. You will mainly notice that we have now removed the little silhouette faces that were there before. They were cute, but they didn’t really do anything to communicate our main focus. Hopefully our new, revised logo is not only cleaner, but does a better job to communicate that we are European Portuguese focussed. We have already rolled out the new logo to our social media profiles and will be using it in our upcoming website redesign. The original goal of the website was to support the podcast, as well as have a way to serve up the premium content to our cherished members. The current site has served us all well, but we are now currently hard at work on a more beautiful, functional design that will support all of our future plans. The site will be mobile responsive, which means rather than pinching and swiping to try to view the content on your tablets or smartphones, you will have a great experience regardless of which device you are using. We will let you know when this is ready so you can check it out and give us your feedback! Upcoming Premium Feature – Quizzes! This is an idea we have had since the beginning, and after receiving a message from one of our members (that’s you, Marc! ), we have decided to finally put it to action. In school, students usually listen more carefully in class if they know there will be a test. So… to put your comprehension skills to the test, we will start including questions for you answer at the end of the upcoming episodes! We may just even revisit our previous episodes and start adding these questions as well. Make sure you keep subscribed to our podcast in iTunes as well as this email list to find out when new episodes are released. And also remember that we also have lots of previous, timeless episodes that you can revisit – The more you re-listen to them, the more you will remember the vocabulary and expressions. That’s all for now. But we have a special treat to leave you with. After hearing Rui’s avó in several episodes over the past year, many members have written us to let us know how much they love hearing her. Now, you can see her, because we have prepared a behind-the-scenes video of us attempting to record a commercial for Practice Portuguese! Watch the video to see how it went!